Rosneft sold a 15 percent stake in "Vankorneft" to ONGC in May. An Indian publication ‘Infracircle’ has reported that India’s ONGC plans to buy 49 percent in the Tagul field from "Rosneft". The field is located in Krasnoyarsk, Siberia. The contract for development of Russian fields will prove beneficial to both sides. India’s ONGC Videsh Ltd. (OVL) is considering the purchase of 49% of LLC "Tagulskoye", which owns the licence to develop the Tagulskoye ‘Rosneft’ field. The Indian publication ‘Infracircle’ said the value of the transaction could reach $1 billion. Tagulskoye is part of the Vankor oil and gas cluster. The ‘Rosneft’ website noted that the recoverable hydrocarbon reserves of the Tagulskoye deposits constitute 10.5 million barrels of the oil equivalent. The Indian company has long been showing interest in the Vankor fields cluster and is willing to offer good money for them. Rosneft sold a 15 percent stake in "Vankorneft" to ONGC [Oil and Natural Gas Commission: RIR] in May. Vankorneft is engaged in development of the Vankor oilfield; one the largest fields discovered and put into operation in the last 25 years in Russia. The package was sold to India's ONGC for nearly $1.3 billion. The agreement for the sale of 15 per cent stake in the Vankor field was reached in September 2015 at the East Economic Forum. During Rosneft chief Igor Sechin’s visit to New Delhi in March this year, Rosneft signed a memorandum of understanding with ONGC on cooperation in the Vankor field, proposing the possibility of raising the share of the Indian company in the ‘Vankorneft’ up to 26 percent. A joint study of potential trading of hydrocarbons and long-term contracts for the supply of oil was also proposed. At the same time, Rosneft agreed to sell a 23.9 percent stake in the Vankorneft to a consortium of Oil India, Indian Oil and Bharat Petroresources (BPRL). The deal was signed at the St. Petersburg Economic Forum. Rosneft still retains the controlling block of shares. 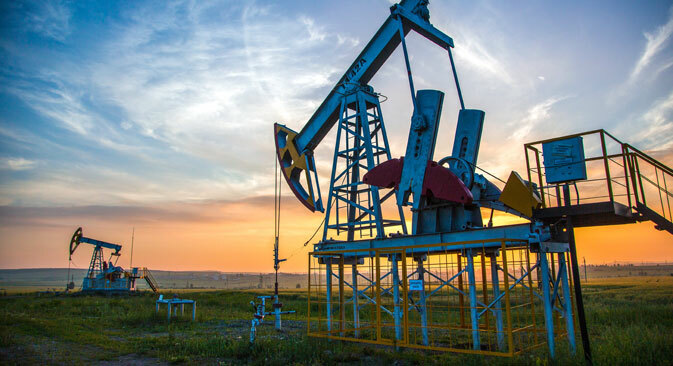 The same Indian consortium will also get a 29.9 per cent stake in another East Siberian company's ‘Taas-Yuryakh Oil and Gas production, which is developing the ‘Srednebotuobinskoye’ field. The document signed in New Delhi provides for the Indian companies to enter the Rosneft and BP joint venture. Like in the case of the Vankor field, Rosneft will retain a majority stake in the joint venture. Attracting Indian investors will bring in funds to develop the ‘Srednebotuobinskoye’ oil and gas deposits for enhanced capacity. The oilfield currently produces around 20,000 barrels of oil per day. Energy specialists say a full-fledged "Eurasian energy hub" is being formed around the TAAs-Yuryakh, confirming the wisdom of Rosneft’s “strategy” to integrate the European and Asian business. These breakthrough deals with Indian companies has allowed Rosneft to acquire an additional source of funding for development of large deposits in Eastern Siberia, and a guaranteed market for oil produced from these fields. The strategic partnership with the world's fourth largest oil importer was made possible because of the company’s position in terms of oil production and refining. Rosneft also has plans to participate in other refining projects abroad, primarily in the growing South Asian market. It will soon become part of the share holding of the Indian Essar Oil Limited, which owns one of the largest refineries in Vadinar, a retail network of filling stations and a marine terminal for receiving shipments of oil and oil products, in extremely large tankers. The capacity of the "Vadinar" refinery complex is 20 million tons annually. In terms of processing, the refinery is the second largest in India and, according to the level of technological sophistication, it is among the ten best plants in the world. The refinery is also capable of processing heavy grades of oil. The Essar Oil company owns a network of 2,000 gas stations across India, with plans to expand the network to 5,000 petrol pumps. According to the recently published International Energy Agency data, India will become the world's main growth driver in the motor fuel market. By 2040, motor fuel consumption in the country will double to 10 million barrels a day and, as early as 2017, the consumption of petrol will increase by 12 percent. It was no coincidence that Rosneft bid for the Indian refining and retail market. It was a very far-sighted decision, said Mikhail Delyagin, director of the Institute of Globalization Problems. As a result of "a breakthrough in India", Rosneft gets a major source of additional funding for development of large deposits in Eastern Siberia and not just a guarantee of sales of crude oil extracted in them, but also direct access to India’s domestic market, which is the world's fourth largest oil importer. “As a result, Rosneft maintains its position as the most attractive Russian oil company for investment," Delyagin said.